How do I apply to the MES program? Is there a Non-Degree Status option? What are the program requirements (courses, curricula, etc.)? Is completion of an internship or thesis required? How is the current MES student body comprised? Is there an MES Student Association? What are the options for housing? I would like to apply to the M.S. in Environmental Studies program, but my Bachelors degree is not in Environmental Studies. Can I still apply to your program? The MES Program is an interdisciplinary graduate program, designed to provide students with an appreciation of the interdisciplinary nature of environmental problems without sacrificing the training rigor of a specific academic discipline. 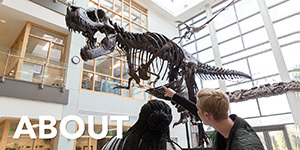 Therefore, our students represent a wide variety of undergraduate disciplines such as Anthropology, Marine Science, Biology, Chemistry, Education, English, Finance, Geology, Mathematics, Physics, Integrative Studies, Political Science, and Environmental Studies/Science. There is a $50 fee when applying online to any of the Graduate School programs. What are the minimum admissions requirements? A GRE (Graduate Record Examination General Test) combined score of at least 305 on the quantitative and verbal sections, and at least a 4 (out of 6) on the writing assessment section. Students must have undergraduate coursework in biology (two courses with labs), chemistry (two courses with labs), and statistics (one semester). One year of another physical or natural science may be substituted for either biology or chemistry. The admissions committee recognizes that some students with exceptional backgrounds and training in other areas – either another science or social science – may wish to enter the program. These students are encouraged to apply and will be considered on a case-by-case basis, but should understand that they may be required to take one or more additional science courses. A statement of personal goals to be achieved by the student during his/her time in the program. 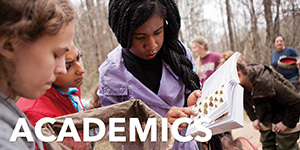 Also, as a prerequisite to the core course EVSS 659: Environmental Statistics (offered in the Spring), students must either take MATH 250: Statistical Methods I (an undergraduate course offered by the College of Charleston) or an equivalent college level statistics course. The core course EVSS 624: Biometry may be taken in the place of EVSS 659: Environmental Statistics in order to fulfill the MES Program statistics requirement. More information can be found on the Statistics Prerequisites page. I have heard that admission to the program is competitive. How many students do you accept each year? On average we can accept up to about 25 new students per year. The total number of applicants varies between 50 and 75 per year. If I have not met all the required undergraduate coursework, am I still eligible for the program? Some applicants may not satisfy all requirements. Every effort will be made to accommodate such applicants through preparatory classes at the College of Charleston. Exceptions can be made on an individual basis, depending upon a candidate's background or experience. If you have concerns about your eligiblity, please email the MES Program Coordinator. Application materials are sent to the Graduate School Office (GSO) of the University of Charleston, South Carolina at the College of Charleston. Once the GSO has received all of the application materials, your file is sent to the MES Office. The MES Admissions Committee then reviews the file and a decision is made. The MES Office will notify you of the decision as soon as possible. How can I ensure that my application is processed successfully? It is your responsibility as an applicant to make sure that all application materials (application form, official transcripts, letters of recommendation, statement of goals, GRE or MAT scores, TOEFL scores if applicable, and $50 application fee) are turned in to the Graduate School Office. It is best to send all materials in together. If you have questions as to the status of your application, contact the Graduate School Office at (843) 953-5614 or email gradstud@cofc.edu. What if I want to take some graduate-level environmental studies classes, but I do not want to seek a Master of Science degree? There is a non-degree option for those students who want to continue their education without actively pursuing an advanced degree. The application process is the same for non-degree students. No more than a total of nine (9) credit hours of work taken in non-degree status may be applied toward the MES degree requirements if the student is later admitted to the program. In order to accomplish reclassification as a regular degree student, the candidate must submit all materials prescribed by the Admissions Committee. Can I transfer graduate credit from other institutions or programs to my Environmental Studies program? Upon written request and with the approval of a student's Program of Study Advisory Committee, up to nine (9) semester hours of appropriate graduate level course work may be transferred into a student's Program of Study. See the MES Program Handbook for further details. How do your required courses reflect the interdisciplinary nature of the MES program? All students, regardless of their focus of study, are required to take 24 hours of core classes and 14 credits of elective classes (total of 38 credits). These classes incorporate disciplines pertaining to both science and policy. See the Course Descriptions page for more information on classes offered. Is there any flexibility within the core classes? Each student must complete the core classes. The MES Program’s coursework is designed to be completed within two years. However, students may require extra time in order to complete their research for their Academic Internship or Thesis projects. In general, students take two to three years to complete their requirements. In most cases, the first semester is dedicated to designing one’s Program of Study and choosing between either an Academic Internship or Thesis, in addition to completing course work. The second semester and following consist of submitting proposals and presenting the work done as it corresponds to either Thesis or Academic Internship in conjunction with finishing classes. All MES students must fulfill the program requirements within five years of matriculating. The MES Steering Committee and the Dean of the Graduate School will consider petitions for extensions in extenuating circumstances. Who are the MES program faculty? 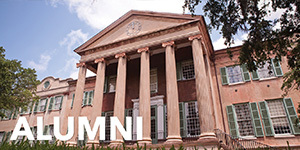 The MES program faculty members come from a wide variety of disciplines at the College of Charleston, and courtesy or affiliate faculty from organizations such as NOAA, the USDA Forest Service, SC Sea Grant, and many others. Information about the faculty can be found on the MES Program Faculty page. Are there any specializations available within the MES program? Some students, in conjunction with their advisors, may wish to create their own areas of specialization within the program. Some examples of these specializations are: Coastal and Wetlands Management, Environmental Hazards, or Environmental Planning. All students are able to have concentrations in either Environmental Science or Environmental Policy. A student’s Program of Study contains a list of courses and other requirements that the student must complete, as well as courses which are accepted for transfer credit. It necessitates the selection between the thesis or internship options, as well as outlining the classes that one anticipates completing. The 2018-2019 Graduate Catalog shows the core and elective classes offered through the MES Program. Is participation in either a Thesis or an Academic Internship required? ﻿What is the difference between a Thesis and an Academic Internship? Both formats are research-based projects where a question or problem statement is defined by the student (as guided by his/her advisor and committee). Thesis projects often involve hypothesis-testing, but not always (e.g., social science research can be structured around a problem statement or statement of need). The main difference between a thesis and internship is that the internship involves a project with an outside agency and the project supervisor (the student's committee head) is almost always an on-staff member of that agency. The student would then round out his/her committee with three additional members, two of which must be program faculty. The Fall 2018/Spring 2019 tuition is $569/credit for students with South Carolina residency, and $1,448/credit for students with residency outside of South Carolina. For more information, visit the Treasurer's Office Tuition and Fees page. Who are the students in the MES Program? There are approximately 69 students in the MES Program. The MES students are approximately 60% Female and 40% Male. About 50% of the MES students are considered in-state residents, 50% are out-of-state. There is continued student interest in both Environmental Policy and Science, with the majority of students focusing on science. Approximately 60% of the MES students choose the Thesis option and 40% choose the Academic Internship option to complete their degree. What project opportunities are available for the Academic Internship option? Where is this information posted? There are a variety of opportunities available through local private and government agencies. Students may also choose to develop an academic internship project nationally or internationally to better suit their interest. Can outside community members be incorporated into/be used for my research project for the academic internship or thesis? If you find someone who is not currently an MES faculty member, and would like them to serve as an advisor or committee member, you can fill out forms available in the MES office that would allow them to be considered by the MES Faculty Review Committee for adjunct faculty status. These individuals will be informed of this decision in writing. Who aids the student in establishing/selecting a program of study? (i.e. advisors, professors, mentors)? MES students must select an Academic Advisor who will help them establish an appropriate program of study. A Program of Study will take into account all the necessary coursework a student must complete in order to earn their degree and also satisfy their personal and career interests. The student must complete a Program of Study form outlining these requirements, which the Academic Advisor will then sign and verify. What is the difference between an Academic Advisor and the Thesis or Academic Internship Committee? A student's Academic Advisor may serve on a Thesis or Academic Internship Committee, but this is not required. In many cases, however, a student will choose someone as an Academic Advisor who is anticipated to serve on the Research Advisory Committee (for a Thesis) or an Academic Internship Committee (the student's supervisor from the sponsoring institution will serve on the Academic Internship Committee). Any changes in a student's Academic Advisor, Research Advisory Committee, or Academic Internship Committee may be made with the Change in Advisor form. How many hours constitute a full-time student? MES students are considered full time when enrolled in at least six (6) and at most twelve (12) graduate credit hours. For first year, full-time students schedules typically include two or three core classes and one elective for a total of 9-10 credits per semester. It is recommended that the student not exceed 12 credit hours of graduate classes. Many classes are held during the day; however, classes are also available in the evening. Core coursework is generally offered at or after 5:00 p.m. to allow individuals who are working full-time to complete the degree. Is job placement information available? The MES Program offers assistance on a one on one basis for those students who are about to enter the job market. This may consist of help in constructing resumes that are appropriate for the jobs that the individual is seeking or interview strategy advice. Also, while enrolled in the program, students are encouraged to take part in workshops and seminars that are geared toward preparing them for the job market. Finally, all students are informed on a weekly basis of internships and jobs that are available both in the community and worldwide via email and the MES Digest. Does the school offer housing for graduate students? Unfortunately, as an urban campus, the College is unable to offer on-campus housing to graduate students. However, the program coordinator can give recommendations on where to live in Charleston depending on your budget and preferences. ﻿Where can I find information about off-campus housing? 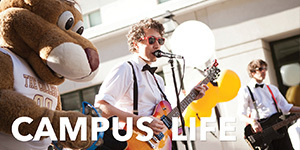 The Office of Residence Life and Housing provides information regarding off-campus housing. What are the options for student parking? Parking is severely limited at the College of Charleston, and in the downtown Charleston area. There are spaces available for CofC students through Auxiliary Services. For more information, visit the Parking Services website. Other options include parking on the street or one of the many public garages. The Charleston Area Regional Transportation Authority (CARTA) has express shuttles to and from campus in select areas, at no cost to College of Charleston students, staff and faculty. Walking, biking or carpooling are all highly recommended! Is there a student association for MES students? 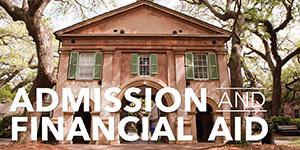 The Master of Environmental Studies Student Association (MESSA) is a graduate student organization of the College of Charleston. The goal of MESSA is to enhance the graduate experience of those in the MES program through community and campus outreach projects that integrate the special interests of students with community needs and through interaction between students, faculty, and friends of the program. All graduate students enrolled in the Master of Environmental Studies program are members of MESSA. 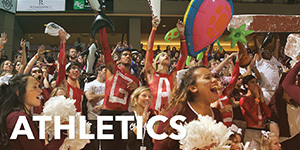 Activities and upcoming events sponsored by MESSA can be found on the MESSA page.